Join us to learn about next steps after attending the 2019 Disability Policy Seminar. You'll get tips about how to follow up with your policymakers. The Disability Policy Seminar hosted by The Arc, UCP, AUCD, AAIDD, NACDD, and SABE is the premier opportunity to cultivate champions on Capitol Hill and advance the grassroots movement for people with intellectual and developmental disabilities. For 40 years, this unique platform has offered the opportunity to come together with passionate advocates, self-advocates, experts, and professionals in the field to learn about key issues. 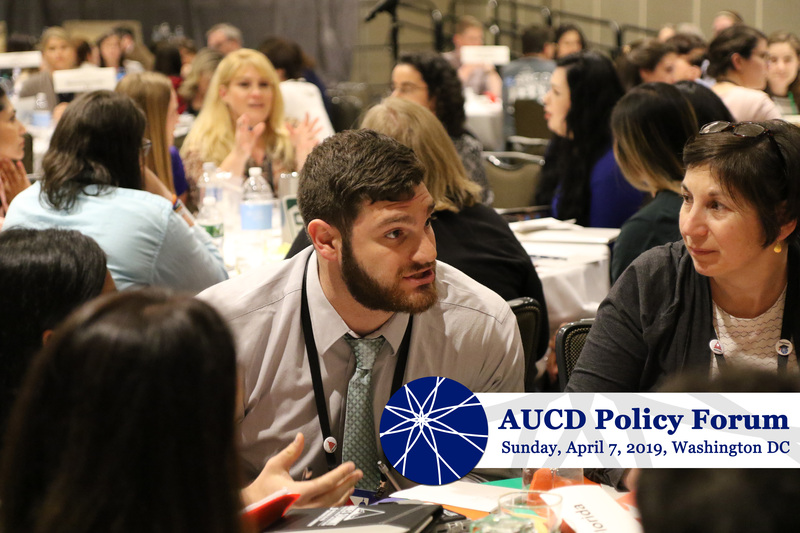 All AUCD Emerging Leaders, including Trainees, are invited to a pre-DPS Policy Forum on Sunday afternoon. Attendees will have exclusive access to Hill staffers and former trainees now working in policy, and learn from the experts how to best craft your message for Wednesday's Hill visits. On Sunday evening immediately before the Disability Policy Seminar, AUCD is hosting a special Policy Forum! Attendees will have exclusive access to Hill staffers and former trainees now working in policy, and learn from the experts how to best craft your message for Wednesday's Hill visits. An evening reception will provide a comfortable background for trainees to meet and network with over 200 peers from around the country. PacRim has been bringing people together for more than 30 years. And PacRim 2019 is no exception. We want individuals with disabilities, their families, service providers, researchers, educators, employers, deep thinkers, change agents, policy makers and entrepreneurs to join us in March 2019. Only by coming together and sharing can we offer individuals with disabilities a better future. The AUCD Conference brings people together to remember, celebrate, and remind others that all human beings have value, and a right to be included in their communities. In November we will share and learn from one another about ways to create opportunity, access, and equity in education, housing, employment, healthcare, faith communities, transportation, activities, and all aspects of community living. Join us at AUCD as we come together, celebrate our achievements, and to recharge our commitment to achieving inclusive communities! 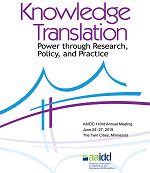 Visit the AUCD Conference website. The Disability Policy Seminar is the premier opportunity to cultivate champions on Capitol Hill and advance the grassroots movement for people with intellectual and developmental disabilities. Join AUCD, the Arc, AAIDD, NACDD, SABE, and UCP as we learn about and advocate for access to health care and community living supports, and bedrock civil rights protections. The first 100 days of any new Administration and Congress are key to setting the agenda, and this year, more than ever, we need you in Washington, DC. Visit the Disability Policy Seminar's website.